1971 Chevrolet Custom Deluxe short bed p/u. Has 350 V8, power steering, power disc brakes, and three speed manual transmission. Truck rally wheels with new tires. 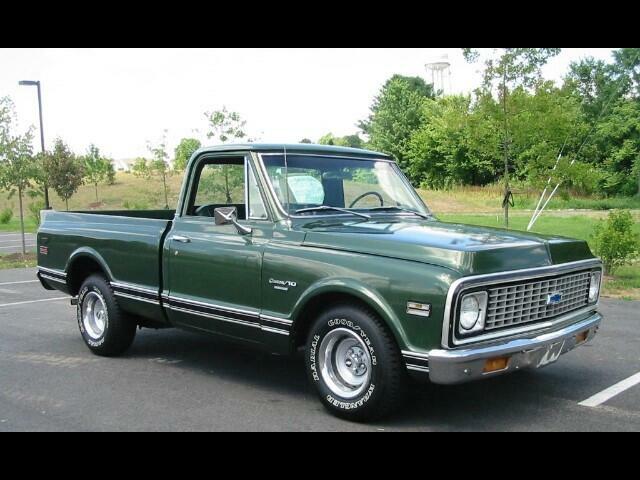 Super clean rust free truck. Message: Thought you might be interested in this 1971 Chevrolet 1/2 Ton Pickups.